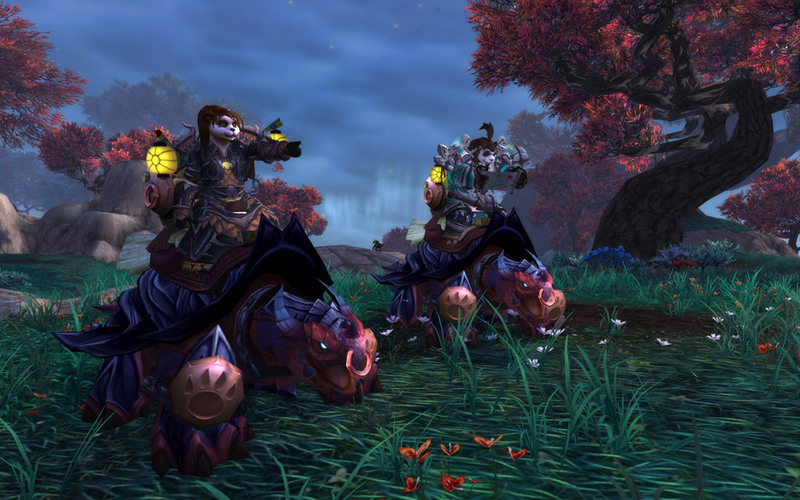 Pandarens, like other World of Warcraft races, will get their own unique mount. Today Blizzard officially unveiled these mounts. It seems that Pandarens will be able to ride enormous dragon turtle into battle. The turtle dragons look strong enough to carry even the fattest Pandarens. They're huge creatures with thick armored hides. You can definitely see their dragon lineage when you look at their face. The art team did a nice job on these turtles. They're a lot more impressive than the plain old horses that worgen players received in the Cataclysm expansion. I like all the the little touches, such as the kneepads and the keg on the back of the saddle. A lot of non-Pandaren players will be grinding rep right after Mists of Pandaria's launch so that they can buy these mounts. Mists of Pandaria is expected to launch later this year. 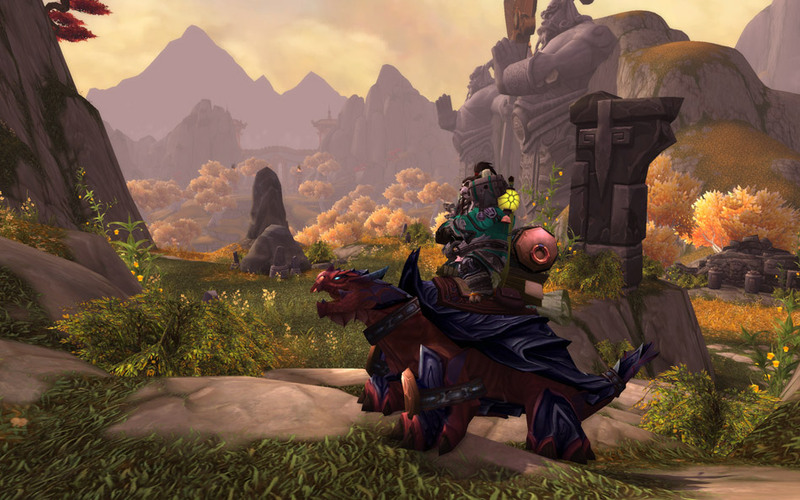 The expansion, WoW's fourth, is currently in closed beta testing.